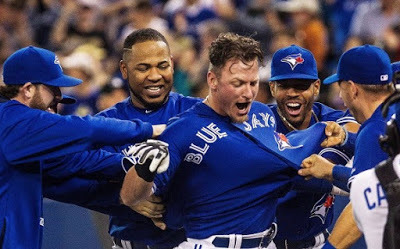 3 Up 3 Down: Tulo’s Injury, Stroman’s Return and the Jays Stealing Signs? Three days – four games – almost 16 hours of baseball; not a bad way to spend a weekend. 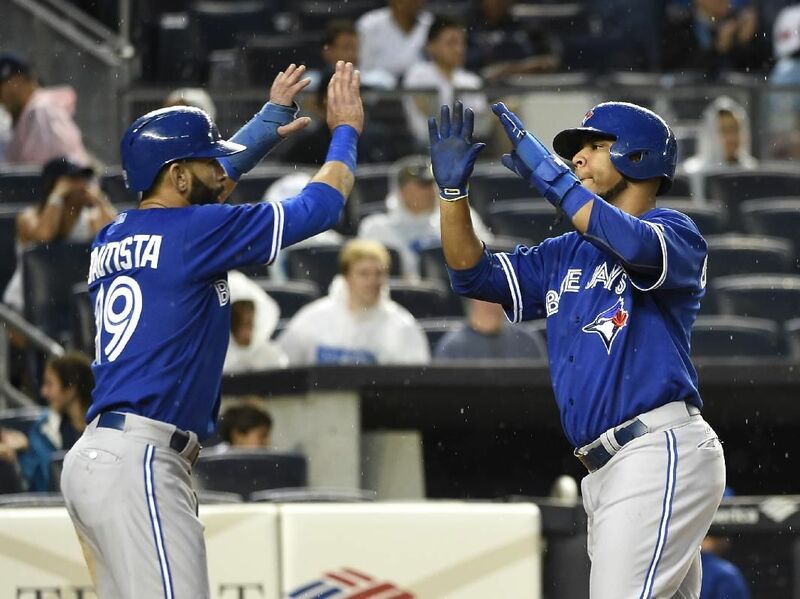 While Blue Jays fans indulged in inning after inning of meaningful baseball, the team itself put forth an impressive effort against the New York Yankees. The Blue Jays entered the Bronx up 1.5 games on the Yankees and they left New York 3.5 games up. The weekend itself had no shortage of compelling story lines; The Blue Jays suffered a huge blow with the loss of Troy Tulowitzki, another dramatic return with Marcus Stroman rejoining the club, and along the way, the Blue Jays were accused of stealing signs yet again. 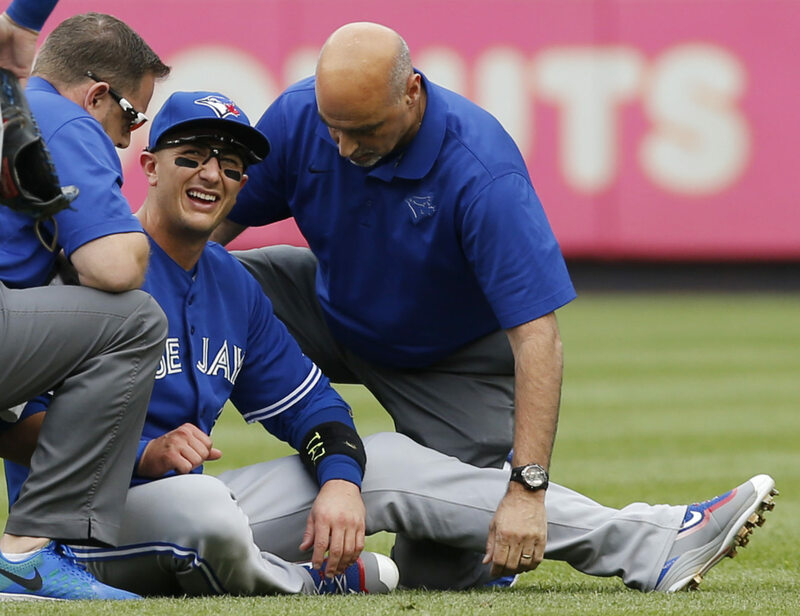 Aside from the Blue Jays taking three of four from the Yankees, the big news from the weekend was the freak injury sustained by Troy Tulowitzki. If you watched the mishap unfold live, it actually looked like Kevin Pillar took the brunt of the blow. But Tulowitzki looked completely out of it in the dugout and it was later revealed he suffered a cracked shoulder. And it’s almost irrelevant as to whose fault it was – Pillar’s or Tulowitzki’s – because there’s no sense in playing the blame game because Tulo is out regardless. Tulowitzki even mentioned this himself, but great teams find ways to overcome adversity such as this. And for the most part, the Blue Jays have not faced that much adversity this season in the way of losing key players off the roster. I don’t know if Troy Tulowitzki will be able to return to the Blue Jays roster for the final week of the season, or potentially even the playoffs, but to play it safe … I think fans shouldn’t bank on having him back. Luckily, Ryan Goins is a superior defender and he can step in at shortstop. 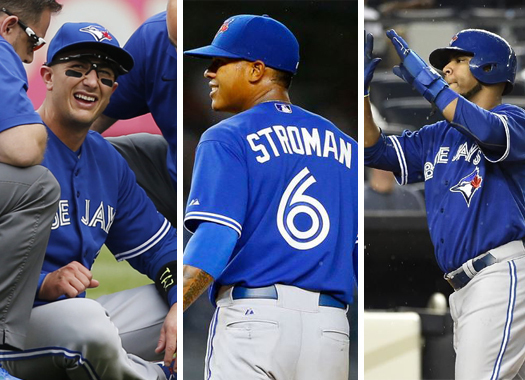 It was just unfortunate that the Baseball Gods had to giveth back Marcus Stroman on the same day that they tooketh Troy Tulowitzki. How great was it to watch Marcus Stroman’s start on Saturday? It really was the culmination of six months of anticipation, and Stroman looked like he picked up right where he left off last season. Stroman even dove off the mound to try to field a ball, which … if we’re being honest, scared the life out of me for a very brief moment. Had it not been for the rain delay, I think we probably would’ve seen him come back out for the sixth inning, which is remarkable in itself. A guy who hadn’t thrown a pitch off a Major League mound in nearly a year managed to throw five decent innings. Aside from the home run to Brett Gardner (whatever, joke ballpark anyway), Marcus Stroman held his own against the New York Yankees. He didn’t quite look like “vintage Stroman”, but it was about as positive as a debut as one could hope for. 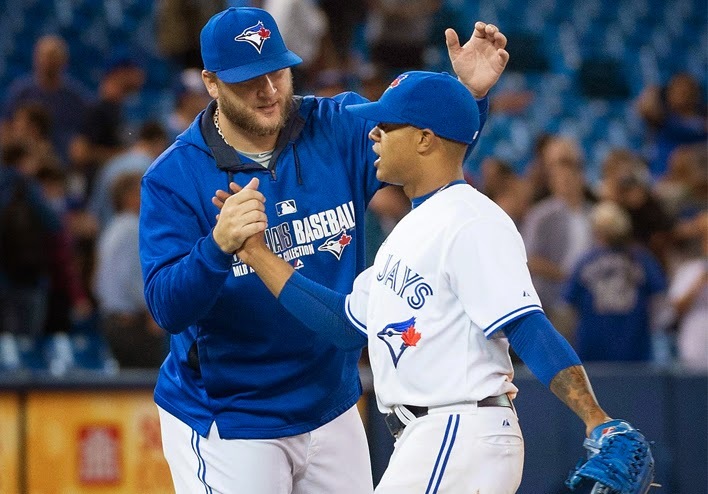 As I alluded to earlier, it was a very cruel twist of fate that Stroman returned on the day that Tulowitzki was lost for at least 2-3 weeks, but Marcus proved just how driven and determined he was to rejoin the Blue Jays roster this year. It may have been only one start, but that performance by Marcus Stroman settled a lot of fears about the state of the Blue Jays rotation. At this point, Stroman basically has to give the Blue Jays a reason why he shouldn’t start every fifth game from here on out. The Blue Jays Accused of Stealing Signs … Again? This was mentioned very briefly in Bob Elliott’s latest at the Toronto Sun, but apparently the Yankees accused the Blue Jays of stealing signs this past weekend at Yankee Stadium. According to Elliott, the Blue Jays were labeled by the Yankees as culprits who relayed signs and locations to their hitters via coaches Tim Lieper and Luis Rivera. “During the 20 innings the Yankees and the Jays played on Saturday, Yankees coaches accused first base coach Tim Leiper and third base coach Luis Rivera of relaying either signs or location (or both) to Jays hitters. A subsequent shouting match ensued. How many times have we heard this in 2015? If it wasn’t the fabled “man in white”, it’s the Blue Jays stealing signs from the opposition. Listen, I’m not denying the Blue Jays are stealing signs … but let’s face it, it’s a part of the game. If the Yankees didn’t want the Jays stealing their signs, they should’ve come up with some new ones. I mean, the Yankees were flashing their scouting reports out in front of the TV cameras. How could you not take advantage of them? Fans want to believe that this is still a gentleman’s game, and in many ways it still is; but players and teams will take any edge over the competition. Isn’t Alex Rodriguez the poster boy for that? Last time I checked the only time stealing signs is actually against the rules is when they are using electronics to do it. Other teams need to get over themselves. If the Blue Jays are stealing their signs somehow they need to do a better job covering up or changing their signs. Of course the Jays will steal signs if the Yankees are careless enough to allow them to do it. Shame on them twice if they still allow the Jays to steal their signs even after so many accusations against us for that very thing.